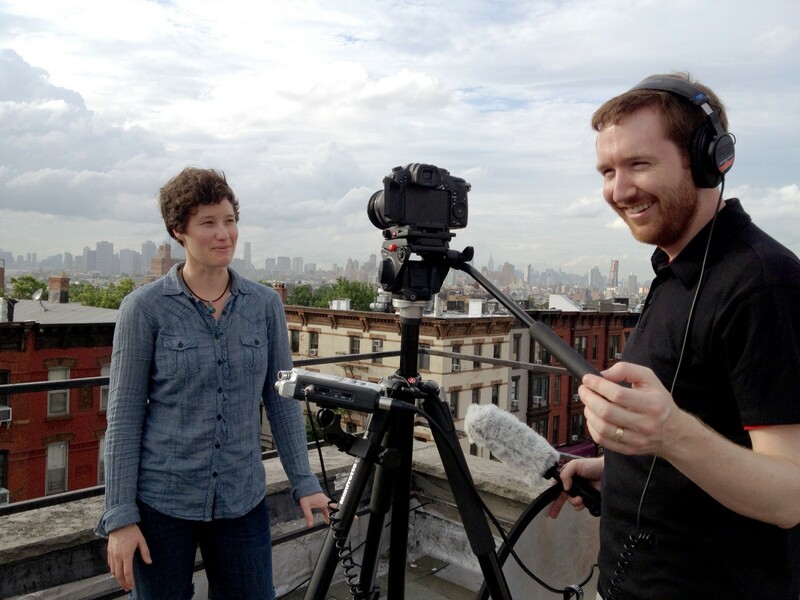 Me interviewing Jolene Collins in Brooklyn, NY during “Sriracha” production, July 2013. It’s been 18 months since I released Sriracha, a 33-minute documentary about the iconic hot sauce. This was a passion project — I was curious about my favorite condiment, and wanted a short film on my reel. The goal wasn’t to make money, but after spending $12,728 on production, then $27,807 on merch and distribution, the film has so far generated $76,677 in revenue, or $100 per day. 1. Vimeo offers the best profit margin in this business. I chose Vimeo On Demand to premiere Sriracha, because my film played beautifully, with less artifacting and skipped frames than on other players. Plus, Vimeo’s 10% cut of revenue beats iTunes’ 30% fee and Amazon’s 50%. To sell through Vimeo On Demand requires a $199-per-year Vimeo Pro membership, but I cleared that hurdle with decent marketing: At $5 a pop, Sriracha sold $1,325 on day one and $10,180 within the first month. The price now at $2.99, it’s earned $25,413 over 18 months on Vimeo. At an average sale price of $4.08, $0.48 per sale goes to Vimeo and $0.12 to PayPal’s transaction fee. Even after the $199 Vimeo Pro expense, I’ve kept $21,499 — a profit margin of 84.6%. Update (Feb. 23, 2016): If you’d like to sell a film on Vimeo Pro, here’s $50 off the price. Fun facts: 226,420 Vimeo trailer plays have led to 6,229 sales, a 2.75% conversion rate. The average purchaser watches twice; the film’s been viewed 13,311 times on Vimeo. 61% of my sales are from the U.S.
Embedding the film’s trailer via Vimeo includes a useful Purchase link. 2. I was foolish to fear “free” Hulu and Amazon viewers. My director’s commentary on YouTube has only generated $0.002 per view. When I released a director’s-commentary version of Sriracha free on YouTube, I confirmed a suspicion: YouTube’s ad-based monetization is no match for VOD sales. Although YouTube earned triple the views of Vimeo in a third of the time (41,105 in six months), the payout has totaled $110 — $0.002 per view. I wasn’t expecting much ad-based revenue when Janson Media suggested we make the film free on Hulu. But nine months and 198,826 views later, Sriracha is popular amongst Hulu users, many of whom pay for a Hulu Plus subscription. That’s what I didn’t realize — I get a cut, albeit small, of each subscription. From Hulu, I’ve earned $13,263. It’s only $0.05 a view, but that’s 25x better than YouTube, and it adds up. Moral of the story: I’ve since made Sriracha free for Amazon Prime subscribers. No viewcounts or revenue numbers yet, but based on an impressive influx of customer reviews — 740 in two months — I’m guessing it’s north of 30,000 new views. Update (July 30, 2015): I just received my first payment from Amazon Prime revenue — $5,061.84 for May 2015. Not bad at all! Fun facts: Even though Facebook’s video player isn’t monetizable, it’s powerful. As a limited-time experiment, I shared the full film for free. In three days, Sriracha gained 10,200 new views. 3. I better cherish my Blu-rays and DVDs, because they’re pricey. I produced 400 Blu-rays and 200 DVDs, of which I’ve sold 93%. In bulk, one Blu-ray costs me $5.99 to produce, $0.27 for a padded envelope, and $1.93 to ship in the U.S. I sell each for $15 — a profit margin of 45%. DVDs cost me $2.01 each, and I sell them for $9 — a profit margin of 47%. But whether it’s the average $0.37 PayPal transaction fee when I sell on my website, or average $7.57 storage/fulfillment cost of selling via Amazon, I lose over half of my $3,945 physical media revenue to expenses. Compare that to my $20,780 Kickstarter campaign, where 1,315 digital presales contributed $6,575 to the total — I only lost 9% to Kickstarter commission/transaction fees. Digital sales are worth the effort. Physical media is cute, and many film festivals ask for them, but never again. 4. Film festivals are a fun, expensive vacation. I paid $1,758 to enter 42 festivals (average submission fee: $42), got into 24 of them (57% acceptance! ), and paid $5,026 to travel to nine of them. Impossible to measure the impact of the exposure/laurels/awards, but I had a great time and met wonderful people! 5. Profitable sure, but maybe it’s not sustainable. 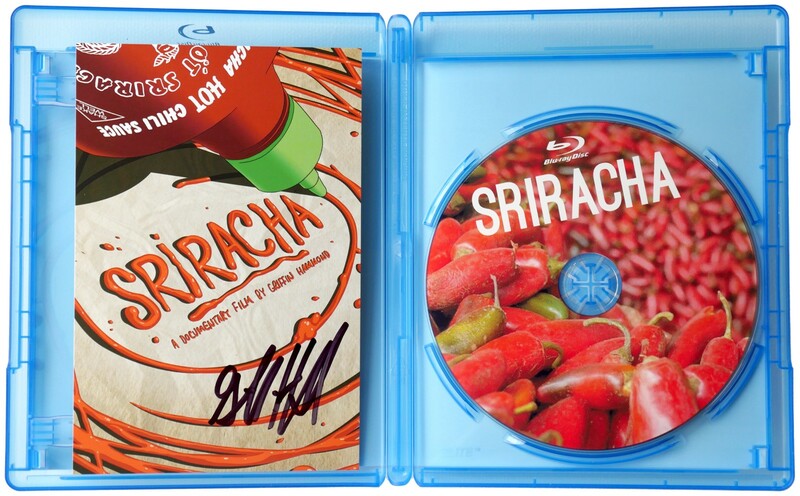 In a world where indie films fight to break even, I’m proud that Sriracha has turned a $36,141 profit so far. But considering the opportunity cost of eight months of producing/shooting/editing, and 18 months as a part-time marketer and DVD shipper, that’s a lot of freelance income I turned down to make this film. The real return on investment is bringing a film to life that I wanted to exist, and the unexpected opportunities that result from a passion project. Within a year of its release, Sriracha landed me a documentary filmmaker job at Bloomberg News. I compiled these numbers for one tiny portion of my class “Shooting Documentary Short Films,” which covers everything from identifying great stories, to capturing quality interviews and b-roll, to distribution and building a video career. Check it out!